PR professionals seem to have forgotten that ‘public relations’ cannot exist without the ‘public’ part. Which is just odd, because it’s right there in the name. But companies still treat PR like a one-way street and say whatever they feel like, thinking the receiver will just swallow the message. The world has changed, though. Many early adopting companies are engaging in conversation with their audiences – existing customers, non-customers and even competitors – more than ever before. And these conversations obviously don’t happen in a backroom, or over a secure phone line. Most of them are happening publicly on social media. Everyone can eavesdrop, and just the slightest mistake can spark online uproar among angry customers or journalists. This is why you must always communicate like a normal human being. Levelling with your audience will not only gain you some good ol’ respect, it will also make your message crisp, clear and comprehensible to everyone who sees it. That’s also why you should stay away from jargon as much as possible. Only use it when it resonates with a certain audience, like investors or suppliers. But to the great wide world out there? Speak like you would speak to another person. Not too formally, but not too informally either. Key to mastering that tone of voice: common sense. Just like any other company run by digital natives, we love Twitter battles. Especially when it comes to a PR battle between the two champions of meat patties, Burger King and McDonald’s. This time, before the battle even started, the captain of Burger King offered peace by proposing to work together on a one-time classic: the McWhopper. But then Captain Steve from the SS Mickey D made a huge and totally unnecessary mistake for everyone to see. 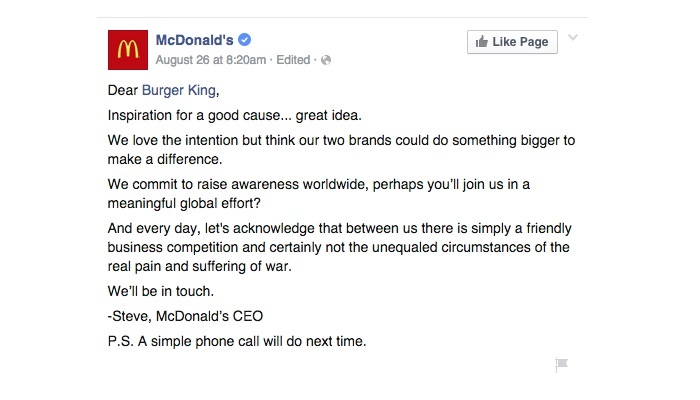 In a response on Facebook, McDonald’s took the moral high ground over a fun offer. The message was clearly full of double meanings and everything but authentic. Trendy phrases like ‘making a difference’ and ‘raise awareness’ sounded fake and, in this case, even hostile. The media were all over it. We watched Captain Steve burn his own ships and customer bridges by not talking honestly and, mainly, by not talking like a normal person would. Where’s the common sense in that? Need a little help achieving common sense? MailChimp’s website Voice & Tone has a lot of practical advice on setting the right tone in emails. It even explains what will work and why. Be sure to check this one out. Be a human, not a robot. 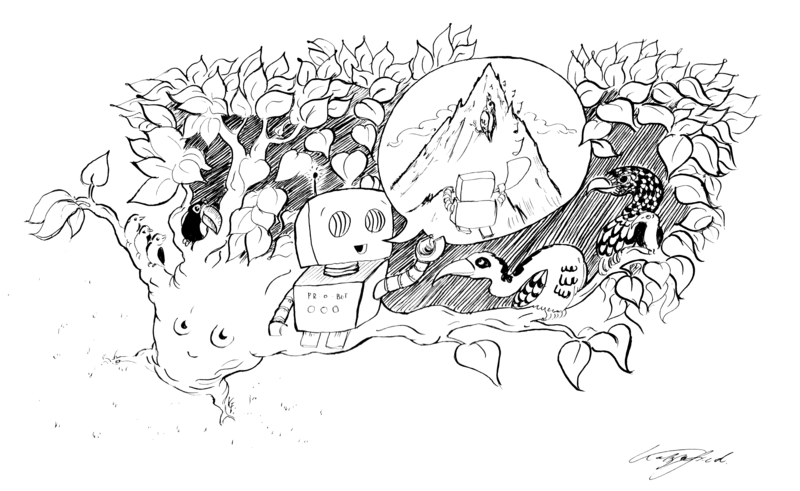 Lovely blog by Kissmetrics. Beware of using humour too often; leave it to the pros.